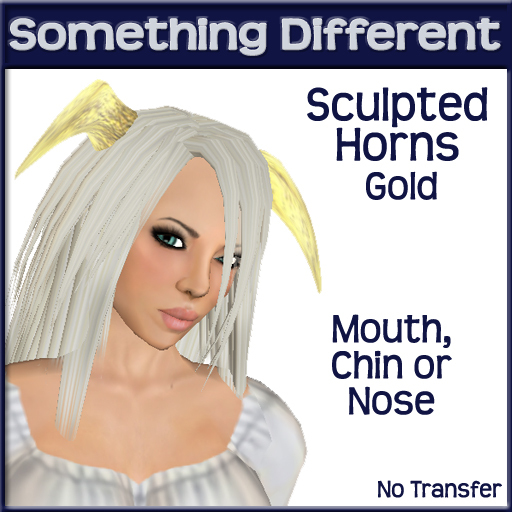 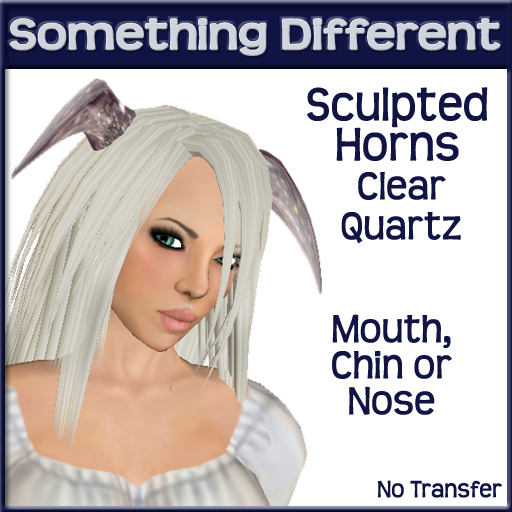 I have added a line of sculpted horns. 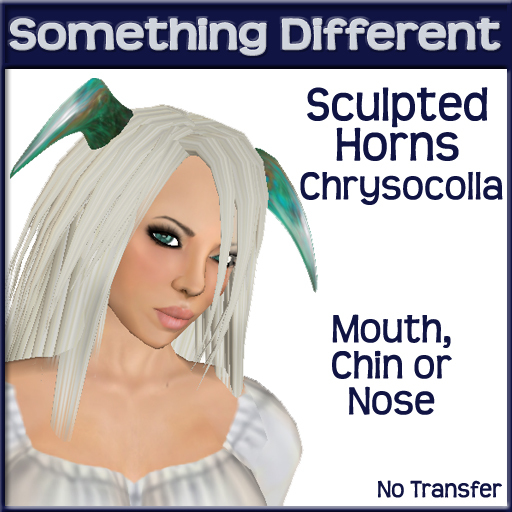 They come with 3 attachment point options: nose, chin, or mouth. 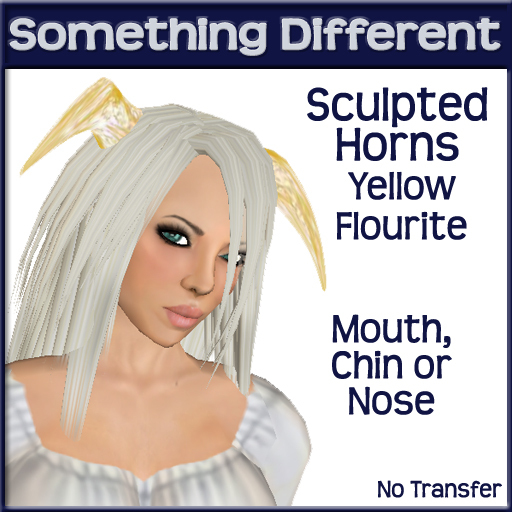 They are located at http://slurl.com/secondlife/Aydat/244/117/24. 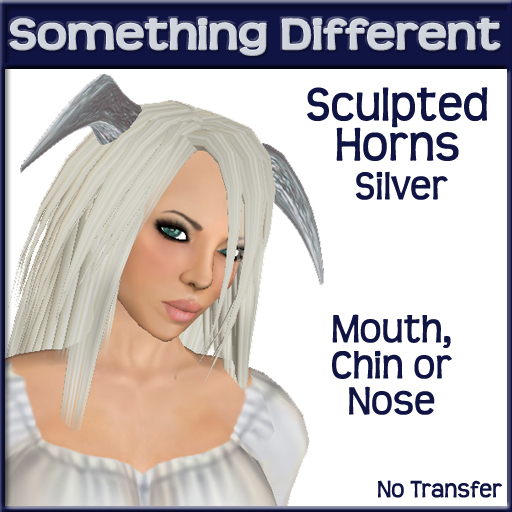 The Rainbow Moonstone horns are in the lucky chair so their permissions are different.